Dr. Samar Alhomoud is a Consultant Colorectal Surgeon and Director of the Awareness Program for Colorectal Cancer Screening at the King Faisal Specialist Hospital and Research Center in Riyadh. She is also an Associate Professor at Al-Fasial University. Presently, Alhomoud is a member of The Ethics Committee at the International Agency for Research on Cancer (IARC), the specialized cancer agency of the WHO. She is the agency’s first member from the Middle East. Alhomoud has presented at numerous national and international conferences in the USA, UK, Ireland, Germany and China and has authored and co-authored several articles in international medical journals. 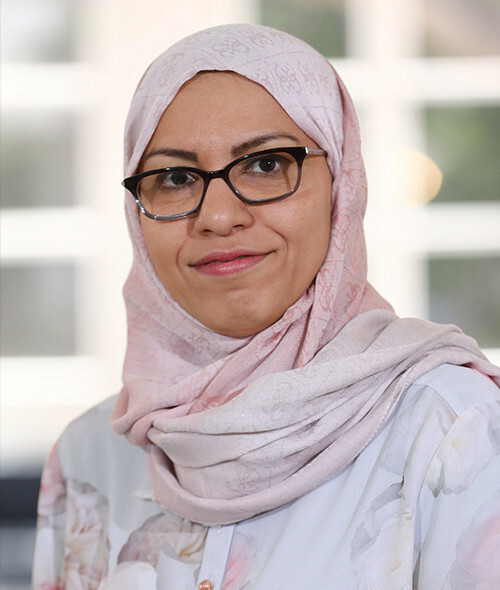 Samar completed a fellowship in colorectal surgery at St. Mark’s Hospital in the UK, which made her the first Honorary Visiting Consultant Surgeon from Saudi Arabia at the hospital. She is also certified by the European Board of Coloproctology.